Wondering what the women behind SheKnows Parenting are obsessed with? Mom’s Must-haves gives you an inside look at what the kids are playing with and what our editors can’t live without. I’m not going to make Halloween costumes for my kids. The only time I came close was when my then-toddler wanted to be a recycling truck driver. All I had to do was draw arrows on a foam helmet. For those of us who don’t sew, there’s Spirit Halloween. You’ve probably seen the stores. They pop up all over when it’s costume season, and they’re so much fun. I went to one this weekend and just about jumped out of my skin when a huge electronic spider moved next to me. 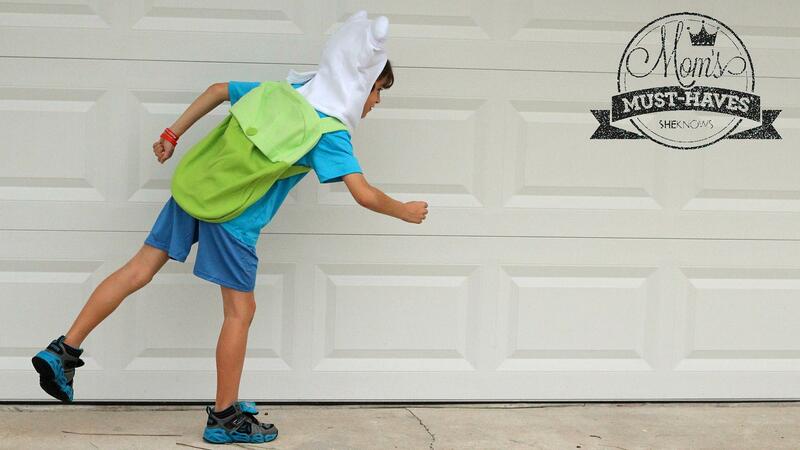 My son is going as Finn from Adventure Time and his costume came ready-made and adorable. 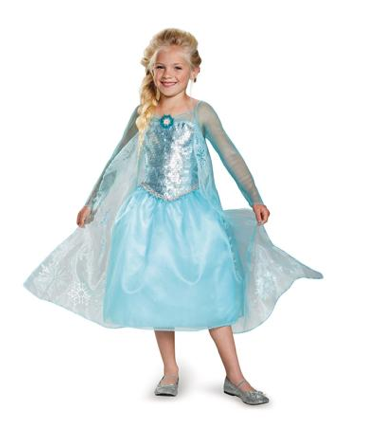 (Dude, they have cute Elsa costumes too.) When you shop, don’t forget to give as a little as a dollar to the Spirit of Children — a program that helps make hospital stays less scary for kids and families. This year Spirit Halloween’s goal is to raise $5.2 million. Designed to keep runners safe at night, 4id PowerSpurz are perfect for kids on Halloween. I have trouble keeping glow bracelets and necklaces on my kids. These light up “spurs” attach to the back of sneakers, where your kids won’t fiddle with them or lose them. The cool thing is you can continue using these all year when you jog or walk in the dark. They’re like a grown-up version of the LED kids’ shoes I’ve always wanted. My son has a life-threatening food allergy. I’m all about using the SafetyTat right on his hand so that when he’s reaching into candy bowls eager homeowners stop directing him right toward the peanut butter cups. SafetyTats are a nice alternative to scrawling your phone number across your kid’s arm with a permanent marker. Which I have definitely done while visiting crowded theme parks. I can’t tell you how many times I forget a flashlight on Halloween. Last year my 4-year-old ended up face-planting in a huge pile of mulch. He got sand in his eyes and cried for about 19 houses. 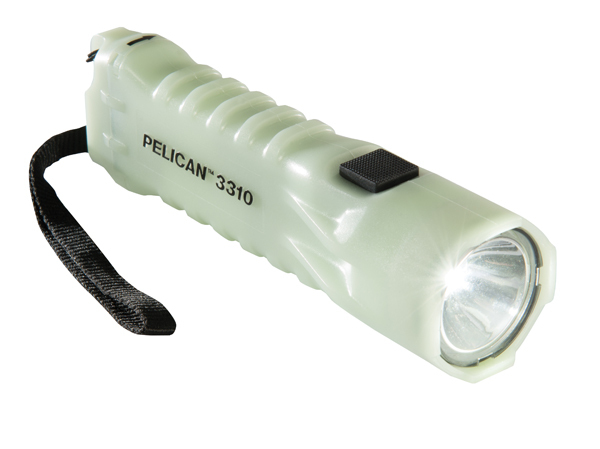 This year I’m going to bring along my Pelican ProGear flashlight. It isn’t overly enormous, which I appreciate since I have to walk a zillion miles with it. It also glows, is waterproof and comes with a lanyard. I’m going to start wearing it around my neck on about Oct. 28 so I don’t forget to have it this time. If anything I need it to shine it into the eyes of wayward, jerky teenagers on Halloween night. The writer received the Finn costume, PowerSpurz and Pelican ProGear flashlight from the respective brands so that she could try out the products. All opinions expressed in the article are based on the reviewer’s own assessments of the products.